If you are planning to make BIG money online, your best and probably most reliable bet is to create online shop. The richest man in the world today is Jeff Bezoz and guess what he does and the source of his wealth? He has an online shop known as Amazon! You must have heard of it or used it. But did you know that the website is making him billions of dollars every year? Today, we will practically show you how to create online shop very easily using Shopify. The internet has changed the way the world works. It has changed the way we buy things. Yes, it has changed the way we shop and make choices. Let me explain. Before the internet, if you need to shop for a TV. You will need to get up, clean up, have your bath, have breakfast and get on the road. Maybe drive for over one hour to the market. Locate a TV shop, ask for price. By this time the sun must have been out. You may probably spend the next two hours walking around different shops under the hot sun looking for the best TV deal, we all know we love ‘quality cheap things.’ To be sincere, who does not? But the internet has changed all of that! Now you can sleep on your bed, pick up your phone, go online and shop for TV. With the help of search engine, you can find the best deal in 5 minutes at the cheapest price by just “googling it’. You click and order for it. Sleep for another 2 hours, by the time you wake up, your TV is at the door waiting for you! Isn’t that wonderful? That is the power of ecommerce, making things easy. Creating online shop simply means creating a website where people can visit and shop for items. It gets more interesting: thanks to platform like shopify, you do not need to have any capital, you do not need to have the items you are selling, just create the store, once someone orders, it will be delivered to them and you make money. No worries from your part about the items and delivery. Now let us show you how to create online store with shopify and make money. Shopify is the best and easiest way to open online store and they even offer free trial. Click here to get 14 days free trial. You can try their services for 14 days free! The first step is to go to Shopify.com and sign up. Fill in the required details and click get started. “Site tight, we’re creating your store.” Don’t panic, just relax, get a drink while shopify sets up your store. The next screen will ask you different questions. Are you selling yet? The drop down will provide different answers. If you are not currently a seller offline or online but just starting out, select either ‘Am not selling a product yet or ‘am just playing around’. If you are selling only offline with physical store then select “I’m selling, just not online.” If you are selling via other platform outside of shopify, select “I sell with a different system.” The next question will ask about your current revenue. If you are just starting out selling whether online or offline, select ‘$0(am just getting started.” If you have been selling offline or on other platform then select the revenue that match your business. Just select all information as appropriate. Then it will go to the next screen. You will have to fill in your information. Name, address, country, phone. Fill it all up. Please it is important to provide only correct and accurate information so you get your payment without issues. Congratulations! You have successfully created your store! At this point, if you prefer to hire a professional to complete the store for you, you can. Since you have created store and have the login details. Note: Even if you want to hire someone to work it for you, please make sure you open it to this stage yourself, so you have access and no one can defraud you. But, you do not really need to hire someone if you do not want to. It is easy! Just continue reading and you will be able to set it all up, all by yourself! If you will rather customize your shop on your own without expert then continue reading we will guide you. A theme will determine how your store looks like. So picking a theme should be a major part of creating your store. The themes in shopify are well built and updated, so you don’t have to worry about that. There are free theme and there are paid themes. It all depends on your budget. If any of the free themes can take care of all your need, why not? Use it. If you think you have enough budget to get a paid theme, why not? Themes have different categories, to help you decide what is right for you. In shopify, you can make core changes to themes but there are few HTML and CSS limitations. And if you do not have coding knowledge and need to make core changes, you can always go to the marketplace and hire someone to do that for you as stated in stage 3. Browse through the theme store and pick a theme that works for you. There are filters when searching for theme on the theme store at the top of the page, use it to filter theme by category or any other criteria available, to help you pick a suitable theme for your store. Make sure when you select a theme, you check out the functionality to know its features, if it is responsive and has all the features you need. Also try to read reviews! To know what those using it are saying about it. Preview the theme before picking it. Click on view demo to see how it looks and see the different styles. Also select the preview theme in your store to see how it will look once you decide to go with it. Once you have made up your mind on a theme, click the green button and get theme. You maybe prompted if you want to install theme, click “Publish as my shop’s theme.” You can always change it later if you have a change of mind and pick another theme. After this, you will be given the option “Go to your theme manager,” click on it to navigate there. There you can edit the theme and make changes. You can upload your logo, chooses fonts, how you want item to appear and more. This place is very important for your sales. This where you manage SEO for your products. You set the title of your product here and enter product description here. So make sure you optimize your description for SEO. From here you set up price for product and also upload image for product. Make sure you pick a captivating image of your product that will attract buyers. And highlight every good point of your product. When you click on product on the left side bar, options will appear below if. From there you can add collections (Group of products) you can also handle, transfers, gift cards and inventory from there. Add as many product as you want. Spend more time trying to look at the options in settings. Look at the bottom left on the dashboard, then click settings. There are a lot of things you can do from there. You can manage account permisions from there. By adding workers, Sales person, Developers and more. Before your site can go live, you need a domain name! A domain name will make you look like a proper brand. A domain means having www.myshop.com instead of myshop.shopify.com. The easiest way will be to buy a domain from shopify and it will be added to your store automatically. Or you can buy from third party and change DNS records. Domain names are cheap and you can get that from $1 to $15 or more depending on the extension. A .com domain usually cost from $9 to $13. These are the basic steps on how to create online shop with shopify. 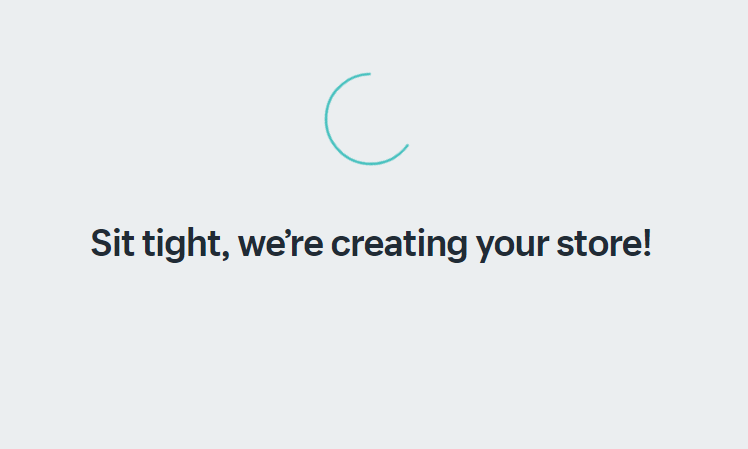 One good thing is that shopify is very responsive. If you run into trouble, you can got to help.shopify.com, from there you can even chat with them one one one and get help! You can also contact us or most especially leave a comment below if you run into trouble. We will try to update this post with more information from time to time. You can suggest which part you need more information on the comment and we will try to update. There are other alternative to Shopify and we will cover them soon. But you can be sure that shopify is top of the list.